Even though The Hermetic Tarot is drawn in black and white, it is a highly detailed recreation of a secret deck owned by a member of the Order of the Golden Dawn. Artist Godfrey Dowson draws heavily from elemental dignities, Western astrology, Kabbalah. Corresponding alchemical symbols for the four elements and astrological symbols appear on each card to denote the attributions. 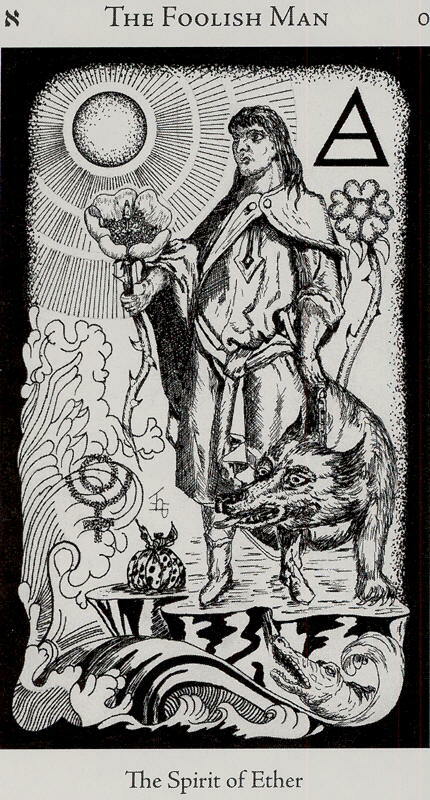 In the Major Arcana, the Key�s corresponding Hebrew letter appears on the top left corner. In the court cards, the alchemical symbol for the element the card represents appears on the top left and the symbol for the element corresponding with the suit appears on the top right. This is one of the few decks that offers two male and two female images in the Court cards, in keeping with the balanced view of reality offered by the Tree of Life model.